A pilot-turned-thief (Walter Matthau) robs a bank with his wife (Jacqueline Scott) and two accomplices (including Andrew Robinson), but things go sour when Scott and one accomplice are killed, and Matthau suddenly realizes that most of the money they’ve stolen belongs to the mob. Soon a mafia bigwig (John Vernon) sends a hitman (Joe Don Baker) after Matthau and Robinson, and Matthau must do what he can to survive. 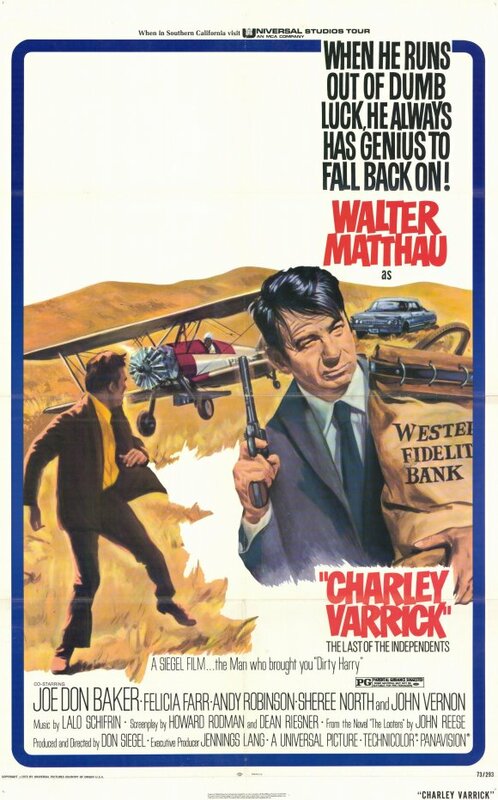 While it may not be one of his most instantly recognizable titles, Charley Varrick remains one of Don Siegel’s most perfectly realized adventure flicks, filled with quirky characters, fine performances, tightly scripted scenarios, and enough twists and turns to satisfy even the most jaded of viewers. 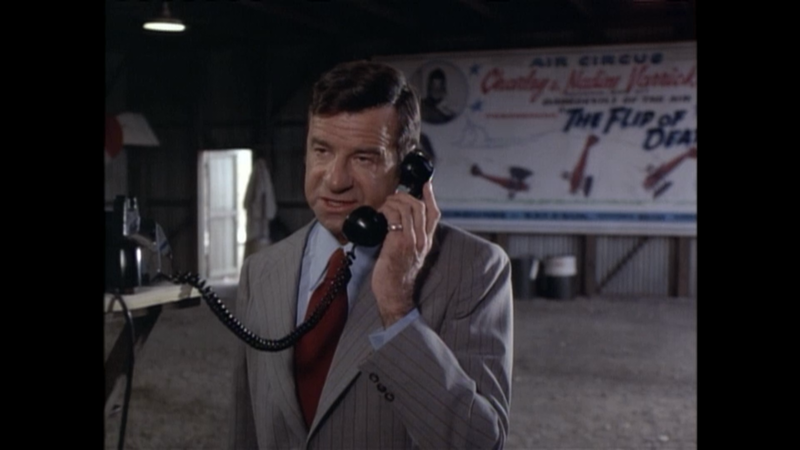 Matthau gives one of his best performances in the title role as a taciturn pilot whose attempt to score just a bit of money from a small-town bank goes horribly awry, leading not only to the death of his wife (watch the subtlety yet depth of Matthau’s reactions to this reality), but to a nightmarish situation in which the cash he’s stolen remains too toxic to use. Matthau’s Varrick is hemmed in by a self-serving, immature partner (Robinson) on one side and a gleefully murderous hitman (Baker) on the other; meanwhile, Vernon lurks in the background, and the “fuzz” are also interested in nabbing the thieves. Siegel expertly directs the action scenes, which are nicely interspersed with quieter moments; the grand finale is especially thrilling. Definitely give this one a watch if you haven’t already — it’s a treat. Yes, as a most enjoyable caper flick by a master director. Listed as a Sleeper in the back of Peary’s book. A once-must. Overall in agreement with the assessment given. 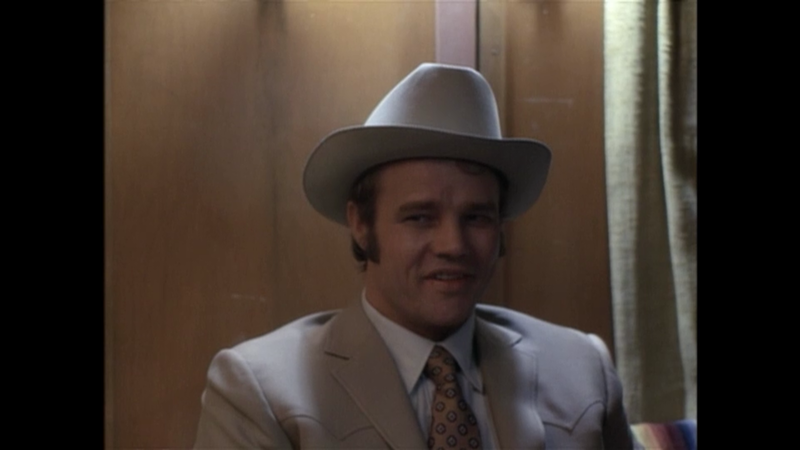 This is a rather solid Siegel flick. 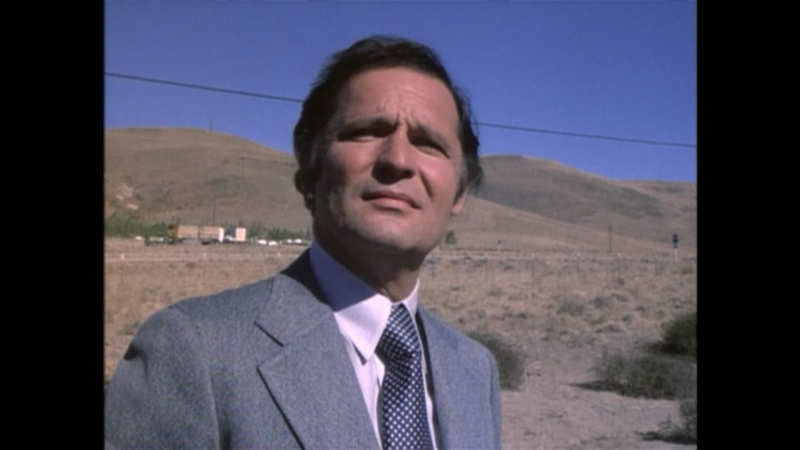 Ultimately it’s something of a popcorn movie; it won’t change your worldview in any fresh way perhaps, but in lesser hands than Siegel’s it would have a lot less bite. Personally I prefer the film’s first two-thirds – which go a long way in assisting the conclusion. As things tie up, I feel some of the logic goes a bit awry and the pacing loosens up a little more than it should, but it matters little at that point.